We are working our way through the steps we will need to create a makerspace or innovation center at our school. This week, I was asked to respond to a number of questions that may allow us to get some funding for this project. I am adapting my responses into a blog post to keep a record of the steps we will need to complete to come up with a successful model. We want to develop a center for innovation at St. Anthony School. Every day more is written about makerspaces and the benefits these centers offer students. We have experimented with Makey Makey kits and littleBits in the past, but now we want to take a more comprehensive approach. Our idea is to create a center for innovation in our school for the use of our students and the wider community. The components of this center are certainly up for discussion, but the important idea is to create a space for creativity and innovation in our school and a concept that can be shared with other schools in the years to come. How will integrating “making” into the classroom contribute to developing a new culture of learning? This is a segment from the first blog post I read on Maker Spaces written by Eric Sheninger, the author of Digital Leadership. 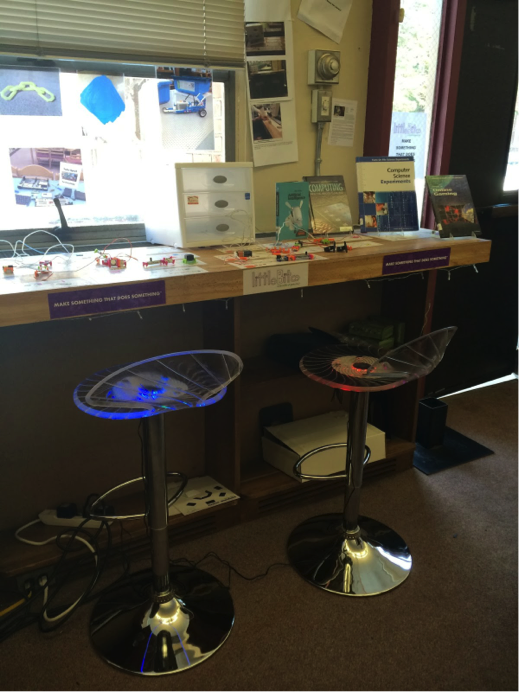 This is the post that got me first thinking about how to develop a makerspace in the school. The DIY ethos has spilled into schools, reminding educators how much students can learn when they use their hands. What can educators learn from the maker movement? What is the value of the project to kids & community? This is one of the great joys of this project – we are bringing people together from many different sectors – there is a great creative synergy within this group! The link to the University of Ottawa Faculty of Education is especially important as we are expecting to recruit student teachers who want to work on and develop the innovation center at St. Anthony. One important idea – we feel we will need a Maker Week to introduce this concept to teachers and students. Our partners will help us to develop a ‘Maker Week’ where various aspects of maker culture are introduced to students and staff over a five-day period. I have been giving some thought to what type of fun event we could do to get everyone excited about the Innovation Centre. I would like to propose that we select a theme – LEGO Stop Action Movies. I am envisioning each class have the opportunity to be inspired by previewing some LEGO stop action movies (I can pull together a bunch from You Tube) then the teachers/students (I would love to be there too 🙂 brainstorm to decide on a theme or ideas for their Stop Action Movies. I would provide all the LEGO for a hands on activity where they build the scenes and we could use the school IPads and either the LEGO movies, Stop Motion or Windows Movie Maker software (all free) to create the movies. 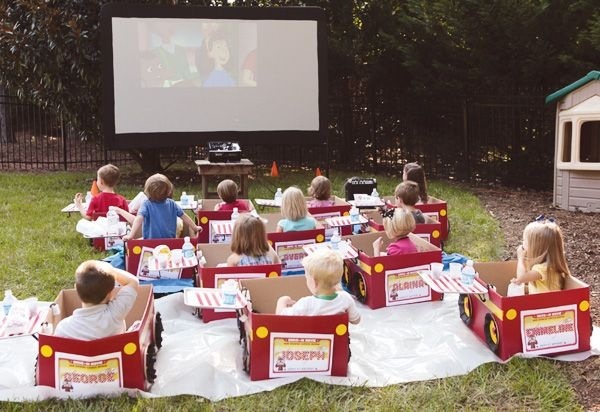 Make it a drive in theatre theme and use cardboard boxes for students to create cars. Goes with the idea Allison had about cardboard creation. I will send a separate e-mail with some pics I found on Pinterest of these types of creations others have made. These are the kind of ideas that will make this such a special project! I will continue to use this blog to record the progress we are making towards the innovation center. What, I wonder will be the next step?